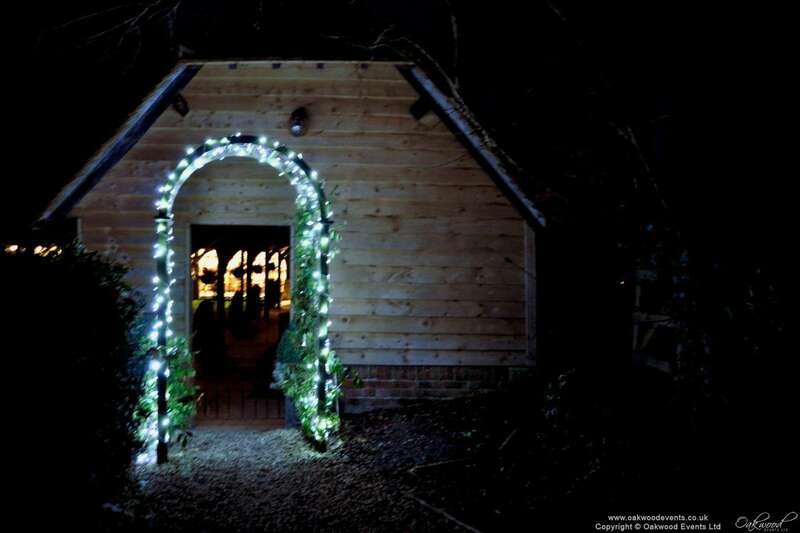 We've just taken another trip to the lovely Lains Barn in Wantage to install a fairy light canopy over the barn's beams and add some sparkle to the entrance archway. 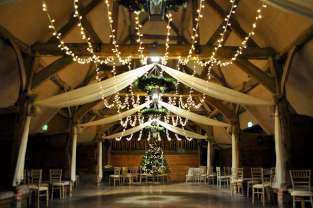 The lights looked great in the barn, and worked really well with the enormous Christmas tree positioned behind the top table. 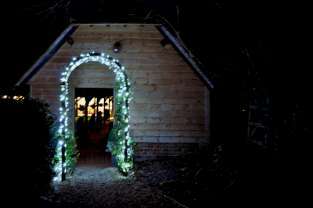 As the same area is used for the evening party, we made sure to install our fairy lights with dimmer control so that they could be set to just the right level during the disco. 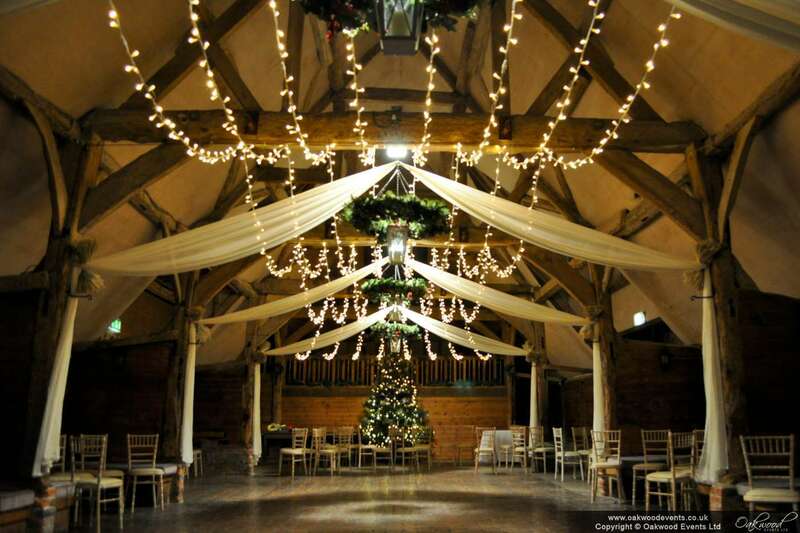 In addition to fairy lights, the barn would also be ideal for chandeliers (one per beam) and uplighting.